We use the expression “etched in stone” to describe something that’s unwavering, permanent and true. And isn’t that precisely what you want the memory of your loved one to be? 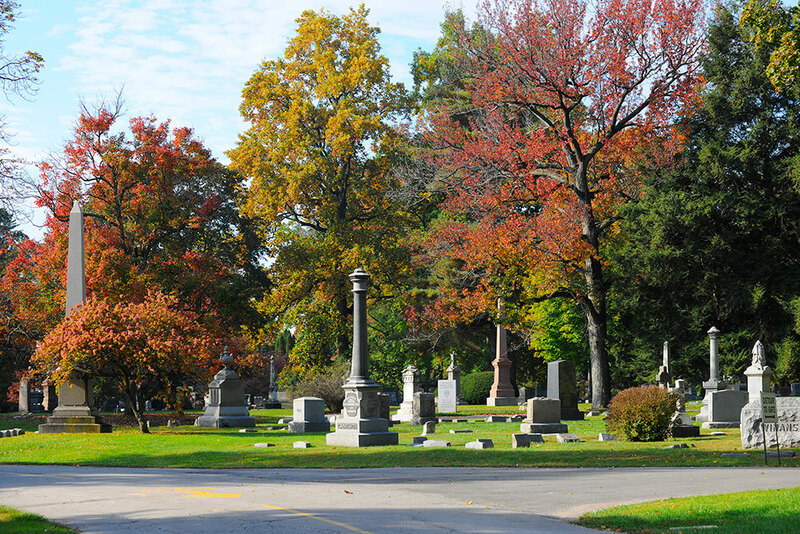 At Woodlawn Cemetery, we encourage the placement of monuments and markers to celebrate the lives and preserve the memories of the ones we’ve lost. Whether etched in granite, cast in bronze, or sculpted in marble, we can help you create a uniquely moving symbol of the life you wish to remember. We maintain a library of monument and marker catalogs where you can begin to explore the many options open to you. Custom design elements that reflect the unique interests, beliefs and personality of the individual whose life you are commemorating are as unlimited as your imagination. You can choose to incorporate words, emblems, even photographs to personalize your tribute. Woodlawn Cemetery monuments and markers are all hand-crafted by American artisans. Memorial costs are based on size, material and complexity of design. To meet the needs of a wide range of families, we offer a wide range modestly priced options. For information on Marker and Monuments, please call 419-472-2186 and ask to speak to a Family Advisor.